Now that Fall has arrived in Los Angeles, Monarch butterflies are getting into high gear; it’s time for one last push of egg laying for the season. Our native milkweed is about to go dormant, so in about a month, we should see the final crop of Monarch caterpillars for 2018. 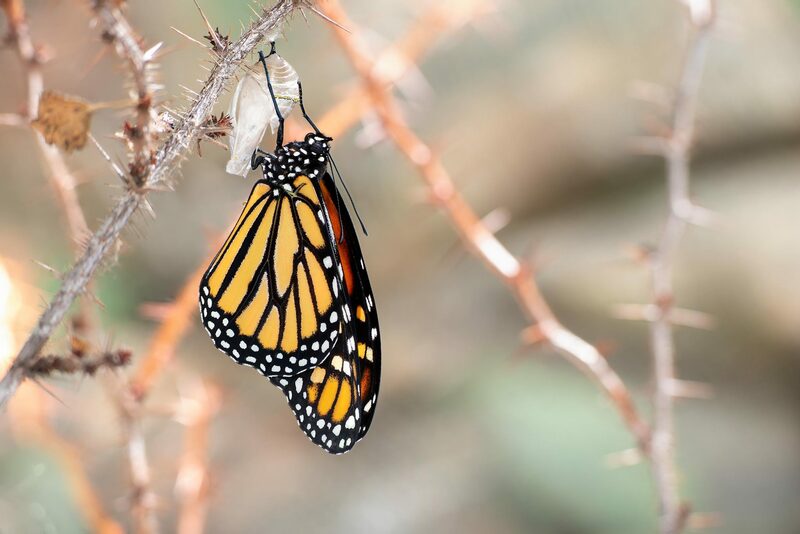 By late October, fertile females will hold on to their eggs until next year’s crop of native milkweed emerges, which is the natural cycle for our West Coast race of Monarchs. For those of you who have tropical milkweed in your yard, please cut it down (at the base like a rose) by November so there is no food source (leaves) available for fertile female monarchs to lay their eggs on.